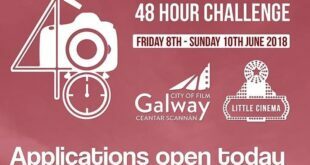 The 30th Galway Film Fleadh will take place from 10th to 15th July, 2018. Every July, the international film world descends on the West of Ireland, for a cherished event: an intimate and informal festival of cinema in Galway, uniquely named the Film Fleadh. The Galway Film Fleadh has no red carpets and no VIP parties. Luminaries of the craft and everyday cinephiles, from all around the globe and from every cultural background, come together to share in the delight of upcoming indie surprises and timeless classics of all types and genres. Visiting luminaries have included Peter O’Toole, Martin Sheen, Maureen O’Hara, Paul Schrader, Kathy Bates, Agnieszka Holland, Gillo Pontecorvo, Jessica Lange, Michael Winterbottom, Jim Sheridan, Neil Jordan, Mira Nair and Abbas Kiarostami. While modern masters such as Woody Harrelson, Saoirse Ronan, Michael Fassbender, Zachary Quinto, Isabelle Huppert, Lee Unkrich, Domhnall Glesson, Kirsten Smith and Stanley Tucci have also enjoyed the rugged beauty and warm hospitality of both the Film Fleadh and the West of Ireland. But that is to name just a few, and just one aspect of the Film Fleadh, which is an all around filmic experience, including experiential screenings, masterclasses, Q+As, debates, the UK and Ireland’s longest running film market, an annual ‘state of the industry’ conference, panel talks and film parties. 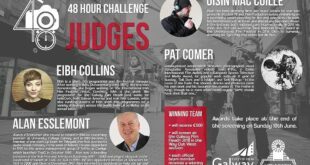 The Galway Film Fleadh began in 1989, borne out of frustration at the lack of opportunity for Irish filmmakers to exhibit their work to their peers. At the time there was no Irish Film Board, no real industry and nowhere for the few pioneering filmmakers to screen their work. Through the determination of a few, working with what facilities were available, the first Film Fleadh was a (relative) massive success as a platform for Irish cinema and a showcase of the best in global art cinema, unavailable to most people on the island of Ireland. In the proceeding thirty years, the Film Fleadh’s indelible charm would develop from a much loved domestic event, to the best known secret gem among European and Hollywood peers who had come to know and love the festival. For the past number of years, the secret has been out, and the Film Fleadh has swelled beyond capacity, earning the nickname, the ‘Cannes-on-the-Corrib’. The Film Fleadh is unquestionably the premier event for discovering new Irish film talent. Films like Once, Adam & Paul, Garage, The Guard, Good Vibrations, Man About Dog, Kisses, Kings, Intermission, The Canal, I Used to Live Here, My Name is Emily, Cardboard Gangsters and The Young Offenders all bowed at Galway. From there, these films launched onto the world stage, with the help of audience members and festival programmers visiting from Sundance, Toronto, Berlin, Cannes, Tribeca, SXSW and more. For its 30th anniversary, the Galway Film Fleadh will be adding to its successful formula, with a bumper programme, a new state-of-the-art screening venue, and a slew of new Irish and international films for audiences to devour as part of this Film Feast. 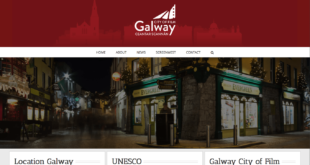 With details of the 30th Galway Film Fleadh’s films, guests and events yet to be announced, visit www.galwayfilmfleadh.com, where you can subscribe to the Film Fleadh newsletter and be the first to hear about news and ticket sales. Next Little Cinema’s first screening for 2018!